ELTES changes and distorts the movementof the electron using high electric fieldwhich has higher energy than the ZetaElectric Potential. At the fundamental molecular level, watercreates the new improved water as nanosizedwater. ELTES uses a proprietary technology toelectrify and separate regular watercluster to its fundamental molecular level. This treated water improves the quality ofwater through the destruction of commonbacteria; prevents scale and rust build up;enhance the cleaning property of water. – Water consists of 5~25 ea of molecule which equals (H2O)n like a cluster. 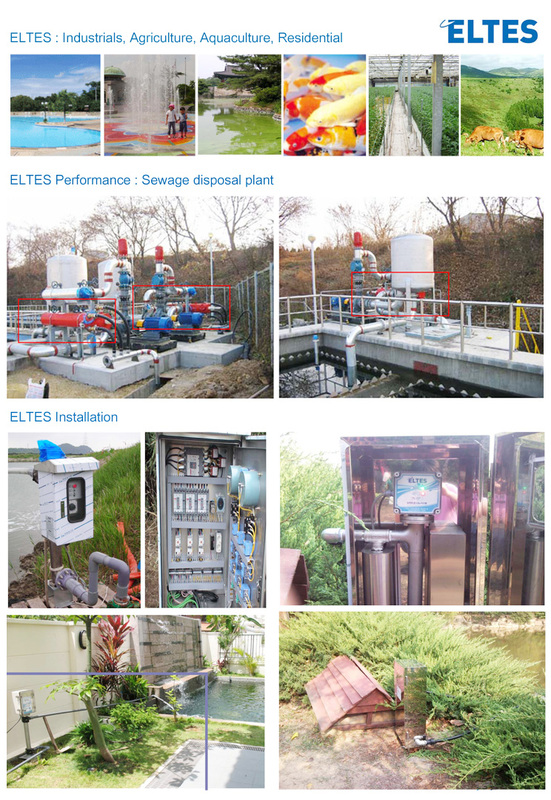 – ELTES uses a proprietary technology to electrify and separate regular water cluster to its fundamental molecular level. – At the fundamental molecular level, ELTES creates the new improved water. – This water promotes plant and fish growth; improves the quality of water through the destruction of common bacteria; prevents scale and rust build up; enhance the cleaning property of water, and improves energy efficiency in industrial water usage. – Bacteria cell membrane consists of the lipid bilayer by the balanced surface tension. – ELTES treated water has the characteristics of lower surface tension. – ELTES treated water having lower surface tension and smaller molecular size infiltrates the cell membrane of single celled bacteria and cause cell disruption. – Disruption by the activated water destroys these bacteria. – ELTES treated water prevents the scale to deposit through ion neutralization by cutting the chain of the ion combination. It separates the undesirable elements from the water molecules. – This principle can be applied to the treatment of waste water. – Rust is prevented by neutralizing the effects of acidity with the dissolved oxygen which increases alkalinity. * Click here to open a pdf file containing Electronic Liquid Treatment andEnhancement System (ELTES) catalogue.